One year ago, Mikayla Grace Terrill, was born into this world. She is the one who inspires us every day to carry out the mission of Mikayla’s Grace. I knew when we conceived Mikayla that she would change our lives…I just had no idea the impact she would truly have on us and so many others. We are so thankful for all of the supporters of Mikayla’s Grace who help us in keeping her memory alive and by doing so, ensure that other parents in the same situation we were in one year ago today have special memories with their child(ren). Of course we wish she would have stayed. But, nonetheless, we are glad to have seen it all. We love and miss you so much, more than words could possibly ever explain. We do believe that the place you are celebrating is far more great than we can even imagine and we know that someday we will be together again. Thank you for all the gifts you’ve given Daddy and I this last year. As long as we live, you will live. As long as we live, you will be remembered. As long as we live, you will be remembered. You will live forever in our hearts and will always be our little girl. Thank you to those of you who have done acts of kindness in Mikayla’s name. It truly does make a difficult month so much easier for us to know that others may smile because of the impact of our little girl. We will still have a few things planned for our Random Acts of Kindness and at the end of the month I will share them all with you. Today I would like to share a video that Kristie at Anchored by Hope made for Mikayla. I was reminded today of a post that I’d written as a guest blogger last year for Half-Pint Resale as a way to reach out to those who may not have experienced pregnancy or infant loss to help them understand what to do in those situations and I wanted to include it on this website as well. I wrote this about 9 months after our daughter Mikayla died, and just a month before we found out that our third child, Chase, had joined his sister in Heaven after just 10 weeks of carrying him. We had just barely begun planning for our first donation with Mikayla’s Grace. One our our goals with Mikayla’s Grace has always been to serve not only the families who have a baby in the NICU or are going through the loss of a child, but also those family and friends that support those parents. You can see the most recently updated list of resources on ourResource Page. If you know someone who has lost a child or lost anybody who’s important to them, and you’re afraid to mention them because you think you might make them sad by reminding them that they died, they didn’t forget they died. You’re not reminding them. What you’re reminding them of is that you remember that they lived, and that’s a great, great gift. Contrary to the widespread notion that “getting over” loss depends on “letting go” of the person who died, many people find that successfully going on with their lives includes finding a new way to feel connected to the person who died. When I found this on the Sweet Dreams Our Angels website I really connected with it. I knew that I wanted Mikayla and Chase to have a legacy that would carry on to help other families that have also experienced the loss of a child, and that is why I started our non-profit, Mikayla’s Grace. To find out how you can help, go here. 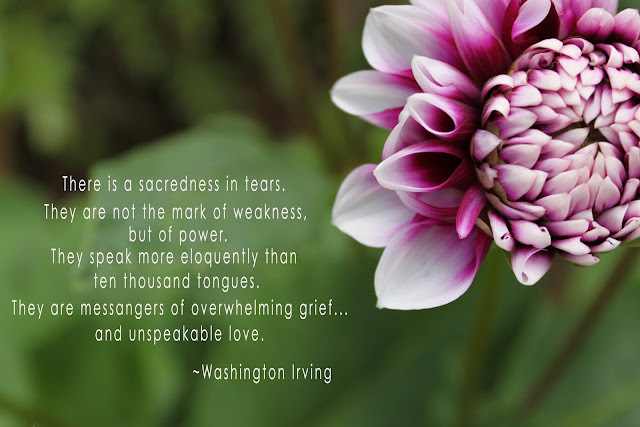 Mikayla’s Grace Resource Page has a specific area of links to other online resources for family members of bereaved parents. This site has a very good explanation of grief if you’d like to understand a little better what bereaved parents face. If you would like to get something for a bereaved parent but not sure what to do this article gives good ideas for appropriate sympathy gifts. There is a local company called Tender Tears that offers Babyloss Comfort Boxes and 10% of all sales goes to support families through Mikayla’s Grace. Carly Marie, has written articles on How You Can Help Ease the Pain and How Friends and Family Can Help that are worth reading. There are some really great things going on to support bereaved parents during what can be a difficult time at the Holidays. If you are a bereaved parent yourself I encourage you do to something in memory of your baby during this time, and Fran’s 12 days of Christmas (posts from Christmas 2012) has some amazing ideas! If you are not a bereaved parent yourself but have someone in your life who has experienced the loss of a child this is an important time to let them know that you remember their child. Most parents are still grieving the loss of their children who are no longer here at the holidays, even if it has been several years since they’ve been gone. Here is an article on What to Say to a Grieving Family at Christmas. The Lost For Words Card Line is a simple way to send a message to a grieving family, and the 12 days of Christmas ideas can easily be incorporated as gifts as well. 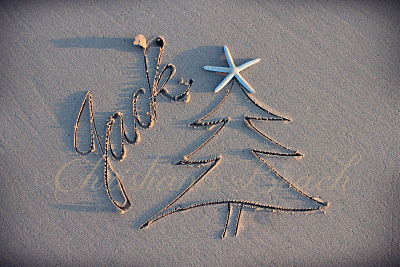 Carly Marie’s Christmas Beach Wonderland has personalized images you can purchase. The smallest gesture can make the biggest difference, and acknowledgement that you remember is often enough to help that bereaved parent.